If you are here for the first time, welcome to Mountain Breaths. 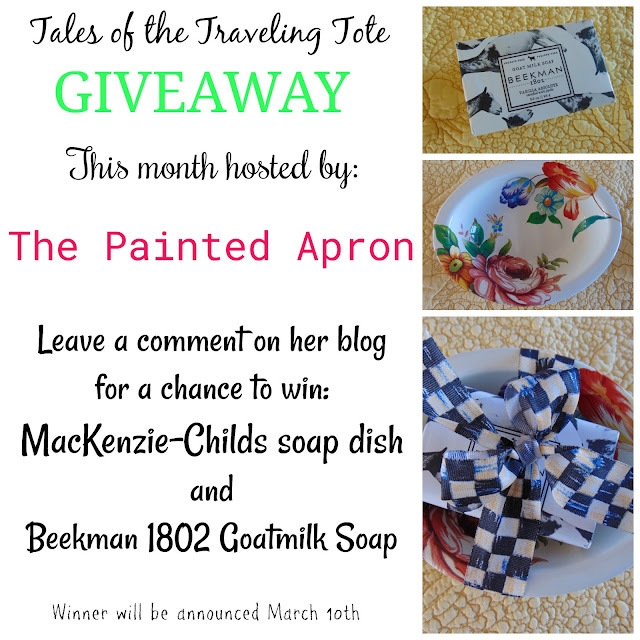 Today I am joining a group of talented bloggers to bring you our Tales of the Traveling Tote. Do not expect to see palm trees in this post! 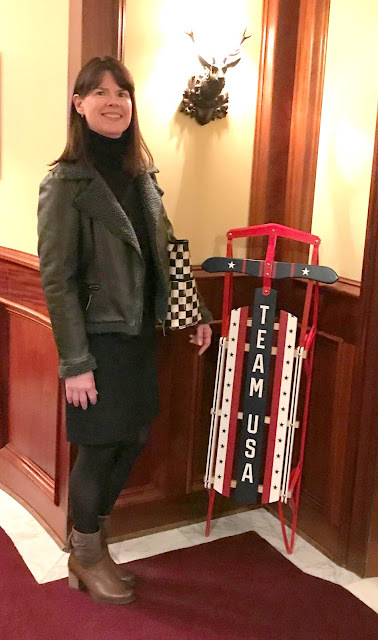 I had Olympic fever and am a winter sports enthusiast. 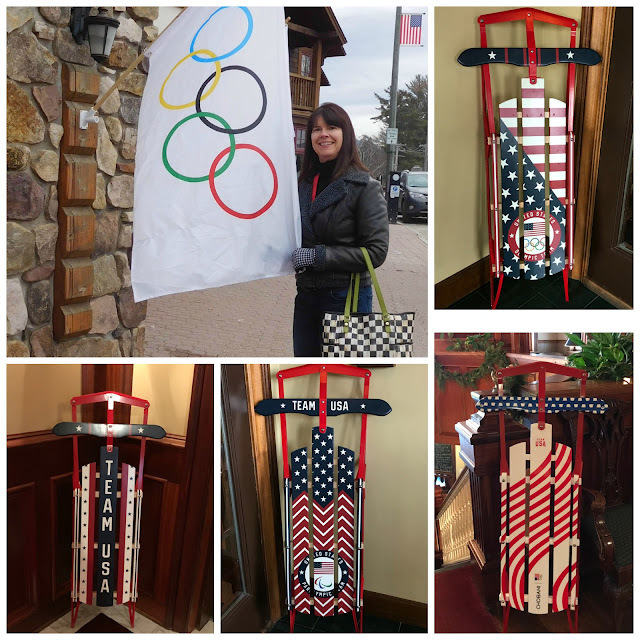 The Adirondacks (where my camp is) has a special relationship with the winter Olympics. 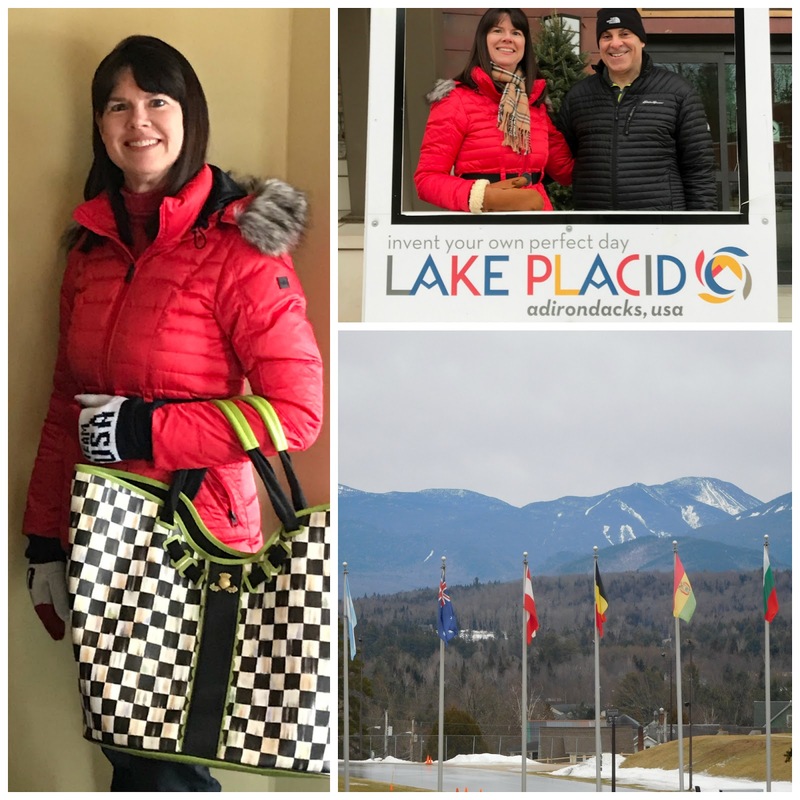 Lake Placid hosted the Games in 1932 and 1980 (Joe attended), and that history lives on as the region continues to be a center for world class competition and training. A dozen athletes from our "north country" competed in Pyeongchang. So off we went to Lake Placid and stayed at the Mirror Lake Inn im February for Joe's school break. 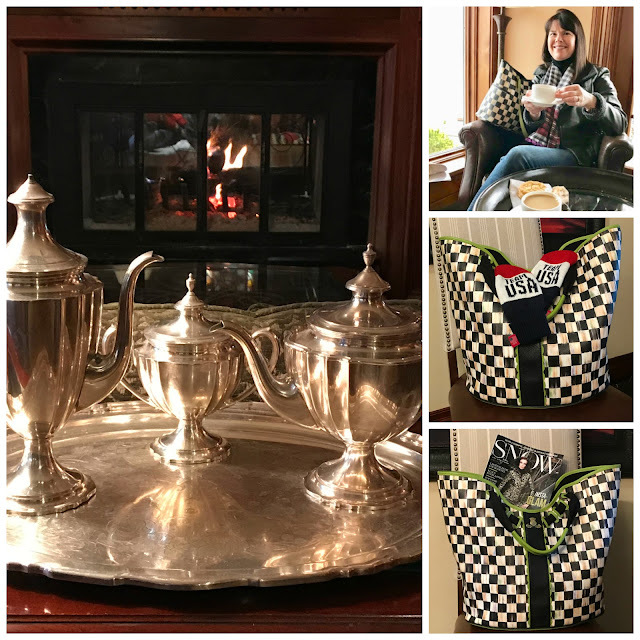 Each afternoon at 3:30, they have "High Tea" and something we have enjoyed over the last 20 years going to the inn. Then we roamed around the inn and the town enjoying the Olympic vibe. Take me back! I can get used to eating chocolate chip cookies every afternoon. Lake Placid rolled out the welcome mat for us. The village embraces the Olympic spirit like nowhere else. It's nearly impossible to go anywhere in the village without encountering somebody in training for something, whether it's skiing, bobsledding, mountain biking or a triathlon. Everything about it, the whole vibe. Main Street is decorated in red, white and blue and adorned with welcome flags. Flashback to December when we travelled to NYC after Christmas. 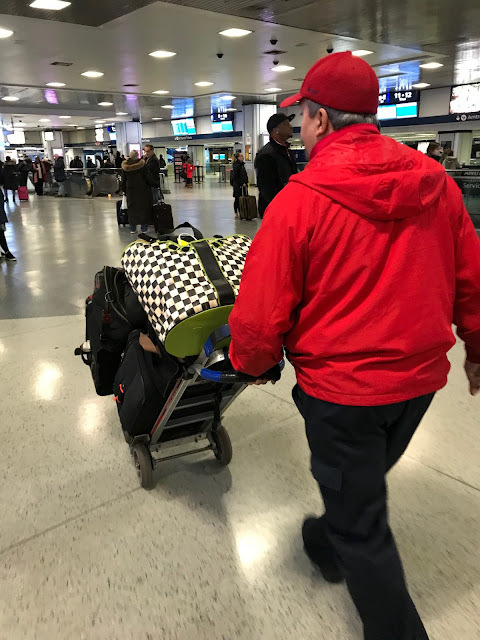 If you travel on Amtrak, did you know that you can get a Red Cap to haul your luggage and put you on the train? It's a service they offer, although my husband always tips them. You will find the employees with the Red Caps when you check into Amtrak at Penn Station. I love this service since we are always first to board the train. Guess where my first stop was? Yep, to Magnolia Bakery to get my favorite cupcakes. As soon as my teeth hit the buttercream, all is good in New York City. Brrrr, can you tell I was frozen to the core but a quick stop at Magnolia Bakery cured that. 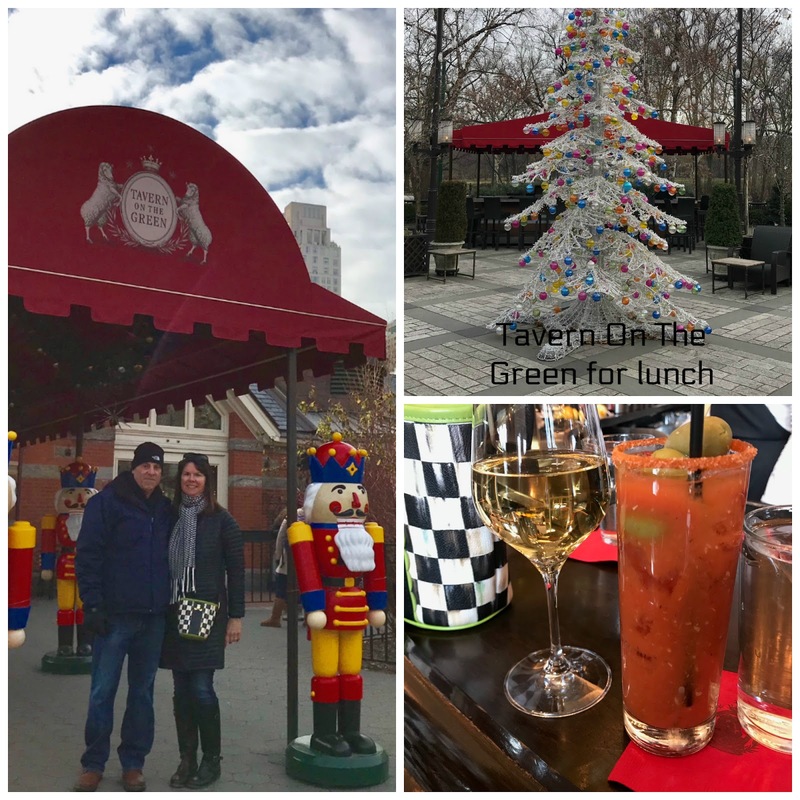 Also, a trip to NYC is not complete for us without lunch at Tavern on the Green. It's under new management, and we have many fond memories over the years. It is very relaxing and they don't rush you which is great because it took me an hour to warm up. 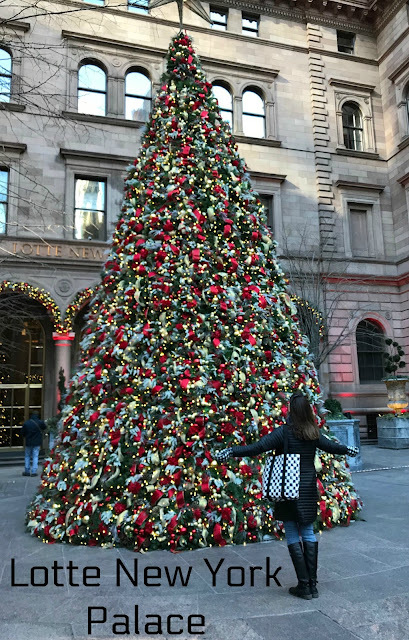 If you are planning to be in NYC around the holidays in December 2018, the trees are spectacular. 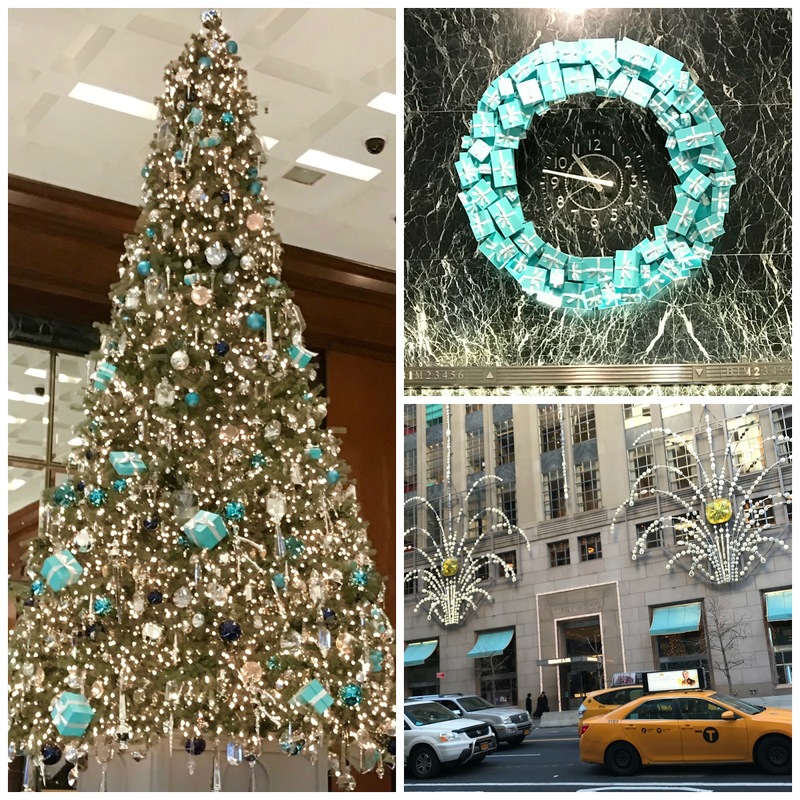 We walked the streets and enjoyed the trees at Tiffany, Lotte New York Palace, Bryant Park, Washington Square Park, Le Parker Meridian, Chanel and Rockefeller Center. My friend Tami shared a photo of her tote while attending a Stitching Getaway with many talented ladies. 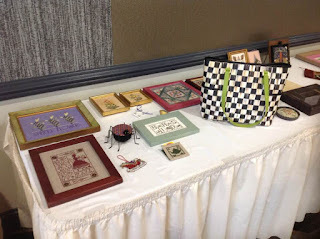 To see what Miss Aurora's tote sistas have been up to, click on the participating blogs below. See you again in June with more adventures! Thank you so much for stopping by! Lake Placid is surely a fun place place to be and is full of Olympic Spirit all year long! Looks like you enjoyed your stay. Love your trees from NYC - it is so magical during the holidays! I would love to visit Lake Placid one day. The Christmas trees in NYC are all so beautiful, and I bet visiting New York at Christmas truly get you in the Christmas spirit. Thanks for letting me join y'all's little group! It has been fun! Debbie, your trip to Lake Placid and NYC after Christmas were a great way to get views of the area. It's always neat to be able to say, "my friend in upstate NY knows such and such" or "my friend in NY went to such and such" and share your experiences in conversation with others. I really enjoy all the pictures. It's like being there. Lake Placid sounds like so much fun and perfect for you outdoor sports enthusiasts! 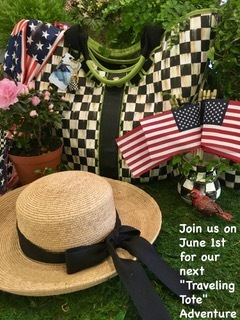 Love hearing about the patriotic spirit of the town. 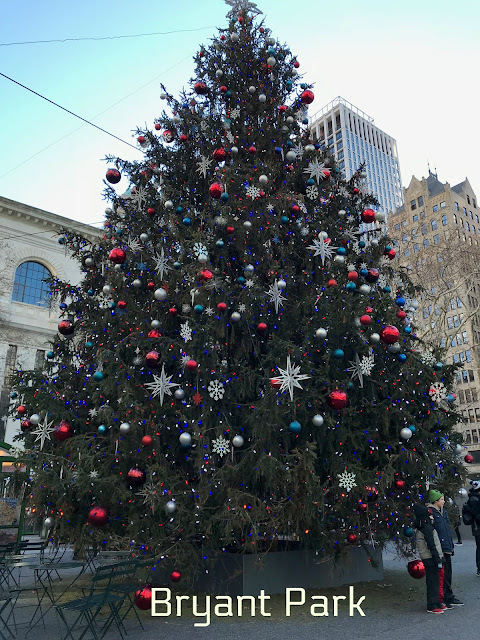 NY at Christmas must be amazing, all those eye popping trees and decorations! 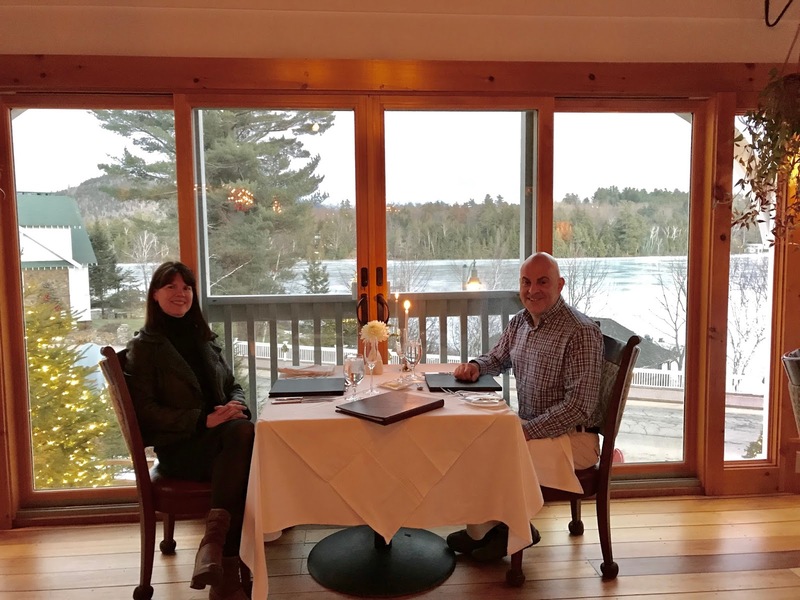 Your anniversary get away looks to be perfect for you two. I know Lake Placid is a gorgeous spot. It's fun to see it dressed in snow! Just seeing those cupcakes take me back to our October trip. Yummy! I'm in need of another NYC get away! Happy travels! Hi Debbie... that inn looked positively gorgeous! !What a wonderful way to spend the weekend! Your NYC pics are gorgeous. I love Tavern on the Green. That cupcake looked delish. Hope you have a wonderful week! Debbie, how fun to get away and experience Lake Placid. Your NYC visits looks so beautiful. You two make the cutest couple. It's fun to see your posts. 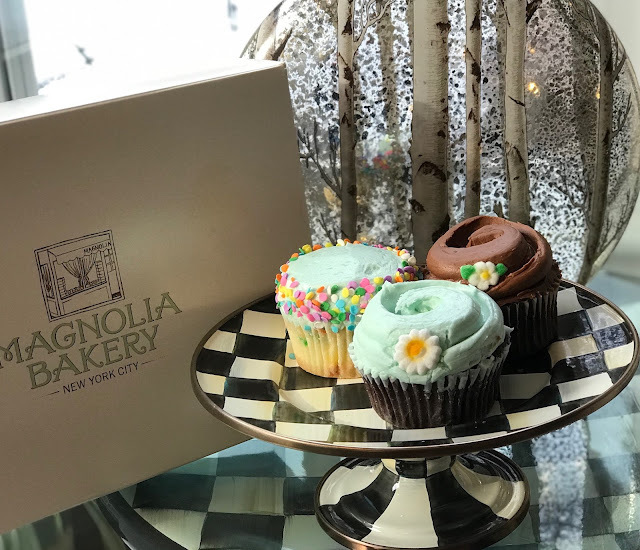 Magnolia cupcakes, yummy. You, Joe and Miss Aurora have certainly been making the roungs. That inn is just spectacular. I would love to go there someday! So wonderful to have so many of the Olympians from your area. I sure enjoyed Instagram coverage of the Olympics this year. I got to see so much from so many. I agree with Lynn, those sleds are adorable, and yes give me a chocolate chip cookie every night. New York at Christmas is so magical. We are coming in April for Cursed Child so I will have to stop at Magnolia Bakery. You made me want one right now! Miss Aurora's green looks so spectacular with your red. You are both stunners! Quite a nice vacation in both places. High Tea sounds very nice. I could get used to that everyday also. Those cupcakes look delicious. It was nice to see the sights with you and visualize being there. I aways enjoy your traveling tote adventures and even though it was cold, it looks like this one was terrific. I have fond memories from Tavern on the Green as well.